@StatMat Hows your project coming along? -Now unzip all folders (System, DH1 and WHDLoad Collection(*1)) in a specific folder in your device (like Roms/Amiga). (*1) for WHDLoad Collection folder I suggest you to unzip only the folder named "Games-WHDLoad" for games. 'Rename the folder "Games-WHDLoad" in "A-Games" and group all the games in specific alfabetical folders (folders named "0-9", "A", "B", "C", "D" etc. till "Z"), so all the games starting with A should be moved in the folder named "A" (without quotation marks), all the games starting with B should be moved in the folder named "B" (without quotation marks), all the games starting with C should be moved in the folder named "C" (without quotation marks) and so on. WHDload environment asks at least 4Mb of RAM. -In your emulator GUI go to the "Hard drives / CD" and push on Add directory and browse to your folder System; push again on Add directory and browse to your folder DH1; push again on Add directory and browse to your folder A-Games. -Click on Start and choose the voice Games. Ask me if you have any problem. Ok. I've got the Arcade Selector menu up but it looks like it cannot see the rom files. I did everything you mentioned. Whats wrong. I extracted also the lha archiv. But no effort. Has it to do with bootable? Or the kickstart? From this, how can I play Amiga CD32 games? I also have the bios. The games are included as pre configured WHD files - you won't need Isos etc. Thank you everyone. I hope I have made something which is useful for you. I have only a favor to ask you: can you tell me how can I run North and South? The games are in folders, inside *.lha files, inside *zip files. Am I supposed tu unpack the *lha files too? Hi, this looks really cool! It seems the download links are broken... Could someone re-upload the files, please? Could anyone re-upload these files? I'd love to try it out on my Q9! Thanks so much! I had given up hope, so I didn't check this place for many month... thankfully the files are still up, will try to run them tomorrow! Thanks @turok981 for you tutorial, but it seems something wrong. 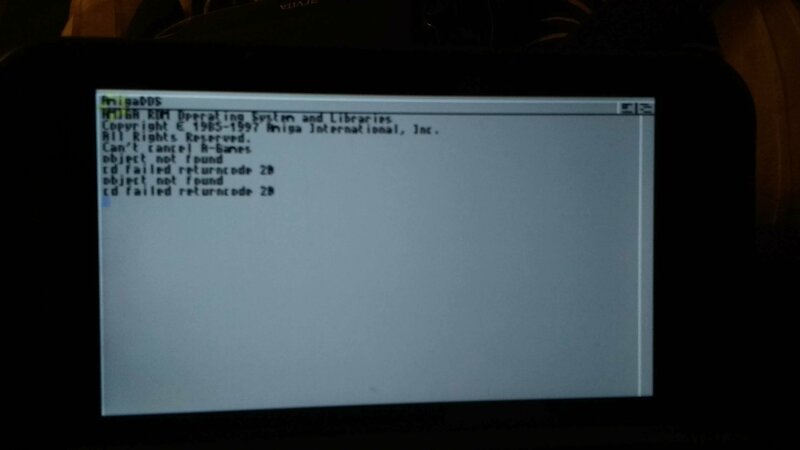 Al the steps done on my GPD XD+, but ends at AMIGADOS window 1> and not continues. 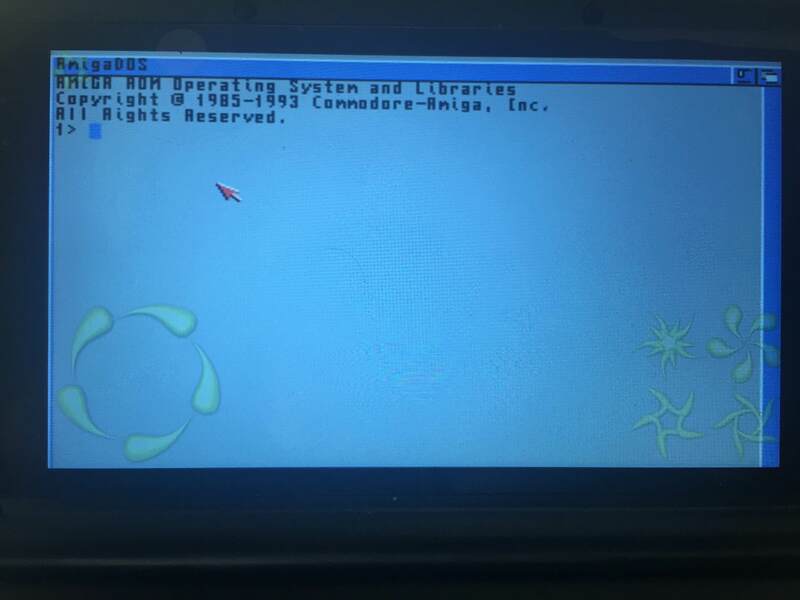 Put all the directories DH1, System and Games into microSD, configured ROM, Chipset...Add directories: Hard drives in DH0 System, DH1 the DH1 directory and DH2 the games.